Facing off against a clogged gutter system can be a loosing battle until you call in a Gorilla for reinforcements. When you call a Gorilla for your Lunenburg gutter cleaning, you are setting yourself up for a safe, effective and professional service. There is no one more committed to bringing you the best results for your property than our local, experienced Gorillas. As soon as you begin to notice slow draining – or no draining! 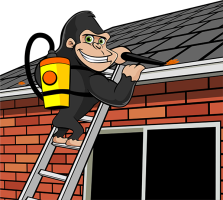 – call a Gorilla for a proper Lunenburg eavestrough cleaning. One of the biggest threats to your property is time. 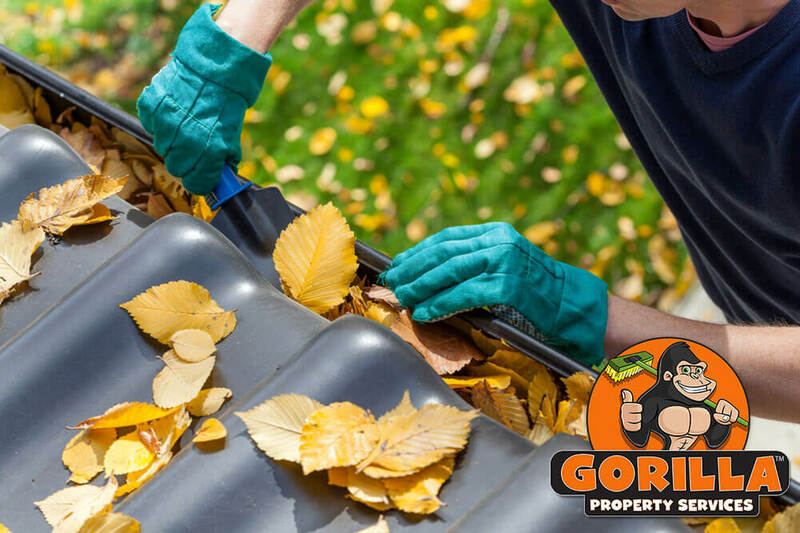 Each and every passing season can bring new challenges and as days go by, more and more items make their way into your gutter system. Organic debris is noticeable in rural areas, but that does not mean that urban areas are free and clear. The fall season might coax leaves from trees or it might be something as simple as a strong breeze or rain storm, but simple can still mean trouble! Even the most basic clogs can lead to big problems. When your gutters become clogged, you open the door for water damage, leaks, and even pest or rodent infestations. When you want the best results for your Lunenburg gutter cleaning but are not keen on climbing a ladder to get there, call our Gorillas. Our expert technicians are sure-footed and experienced at complete removal. The bottom of your gutters are lined with the heaviest pieces of material, creating a sludgy, slimy, foundation layer that traps and holds new material as it enters your gutters. Removing larger items from the gutter system does not provide a meaningful result if the foundation layer is still there. By using high-powered vacuums to clear out that base layer of material, our Gorillas achieve a great result every time. Once your gutter system is cleaned out, it is tested to make sure that each piece of your gutters, both covered and uncovered. In order to show our clients just how much is removed during our Lunenburg eavestrough cleaning, our Gorillas provide before and after photos, to show our results.